Six time national putting champion Roberto Selavino takes you on a tour of the most challenging putting greens of the world. Six time national putting champion Roberto Selavino came to our video game company with a vision. He wanted to help the young people of the world improve their putting game while as well as provide a thrilling interactive experience. 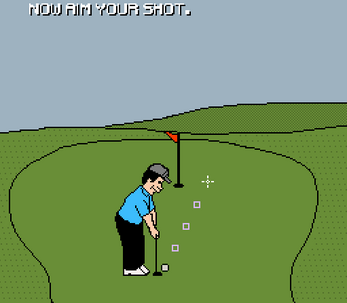 Games like this are usually priced at up to and including seventy dollars. This game retails for just $1.99. Fully endorsed by six time national putting champion Roberto Selavino. * Scoring pencil not included in digital copy. Find all the information you need on the press kit. 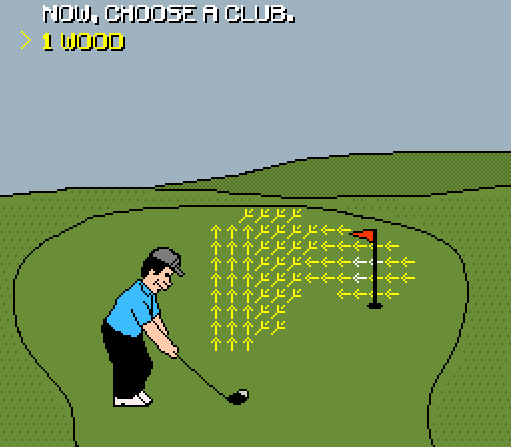 The arrows remind me of classic NES Golf. Sold.